Note: This monitor has been rebranded as BenQ ZOWIE XL2411. The only difference seems to be the different appearance and the lighter weight, but other than that, it’s just a rebrand, since ZOWIE is a sub-brand (eSports) of BenQ anyways. Priced like an entry-level monitor but offering an eye-popping refresh rate and smooth picture quality due to its anti-blur function, the BenQ XL2411Z is the ideal choice for gamers looking to make the upgrade from 60Hz to 144Hz. When you choose this monitor, you’ll also enjoy 16.7 million colors and a true widescreen experience. Though relatively small compared to the behemoths we see in the TV world these days, the BenQ XL2411Z offers better clarity and color than you’ll find in most big screens. It’s the perfect size for a desktop or table. Plus, it offers a full HD experience with its 1920 x 1080 resolution.The monitor lacks a DisplayPort connection, but it does offer HDMI, DVI-DL and D-sub ports. Many users have suggested that it’s difficult to tell its TN panel from an IPS panel, making it a highly competitive and affordable product. In addition to the monitor’s great 144Hz refresh rate, lots of consumers were impressed with its blur-reduction feature. Many users spoke about a noticeable difference in fast-paced games: they indicated that the clearer, crisper picture improved their overall gaming experience. One BenQ XL2411Z reviewer pointed out that he could now see opponents in darker areas of the screen when he couldn’t on other monitors. The fact that the monitor provided a flicker-free picture, which reduces eye stress and fatigue,contributed to its high rating. 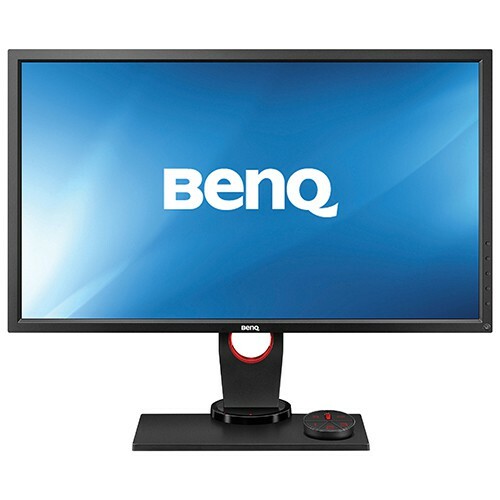 The BenQ XL2411Z’s price is another feature that has customers raving about it. Lots of customers shared the sentiment that this monitor offers the best bang for your buck. A few even suggested that the purchase price is a “steal” and they would have gladly spent more. There were many comparisons between this monitor and those that cost twice as much, and the XL2411Z consistently came out on top. The size and ergonomics of the BenQ XL2411Z also earned it high reviews. Customers were happy that the monitor was just the right size for using on a desktop. Others detailed their experiences with how easy it was to move the monitor around; they were very happy with the tilt, rotation and swivel capabilities. This screen is also VESA compatible, so if you’d like to mount the unit to a wall, you’ll have no issues there. 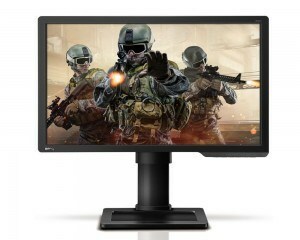 Overall, the BenQ XL2411Z is a very good gaming monitor for the price. What don’t users like about this product? 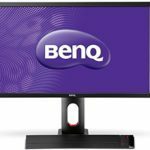 One prominent complaint seen in many BenQ XL2411Z reviews related to the terrible color settings the monitor displays right out of the box. Many people were unimpressed with all of the default settings, and some complained about needing to find new settings to make the monitor usable. It should also be noted that the color does improve greatly after calibration or saving a new setting. Following the same note, many users warned about using this monitor for photography or video editing. In addition to the bright, washed out and inaccurate colors upon set up, they claim that the monitor lacks the depth necessary for dealing with photos. The last issue BenQ XL2411Z owners pointed out was the lack of a DisplayPort connection. Some users simply noted the absence of this port, while others expressed disappointment because neither they would not be able to utilize G-Sync nor would they be able to upgrade to support this feature in the future. While the BenQ XL2411Z’s price and offering of 16.7 million colors may make it seem like the perfect entry-level monitor for anyone looking to upgrade, this product really is tailored for a gaming audience. Those thinking of using the monitor for the office would definitely see an improvement, especially the smoothness with which the mouse pointer glides across the screen or how windows can be moved without ghosting. Unfortunately, photographers, video editors and others who rely on color accuracy would struggle with this item, especially fresh out of the box. On the other hand, those who engage in fast-paced gaming are sure to fall in love with the stunning refresh rate and anti-blur function. Gamers are certain to fall in love with this monitor. In fact, they would be hard-pressed to go back to a 60Hz screen. The BenQ XL2411Z generally performs better than its biggest competitor, the Acer VG248QE gaming monitor. 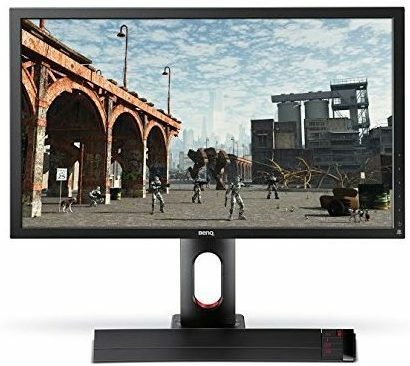 The BenQ XL2411Z gaming monitor is overall a great 144Hz gaming monitor for the price and it is the highest rated 144Hz gaming monitor on Amazon right now. It seems like Qdot is here in Samsung curved displays, have anybody tested them already?